Last week, I had a string of bad luck. I rode my bike to work, then had a flat. My coworker had to give me a ride home, so I wanted to bring in a baked good to show my thanks for her kindness. But, I was low on butter, so I had to get creative. 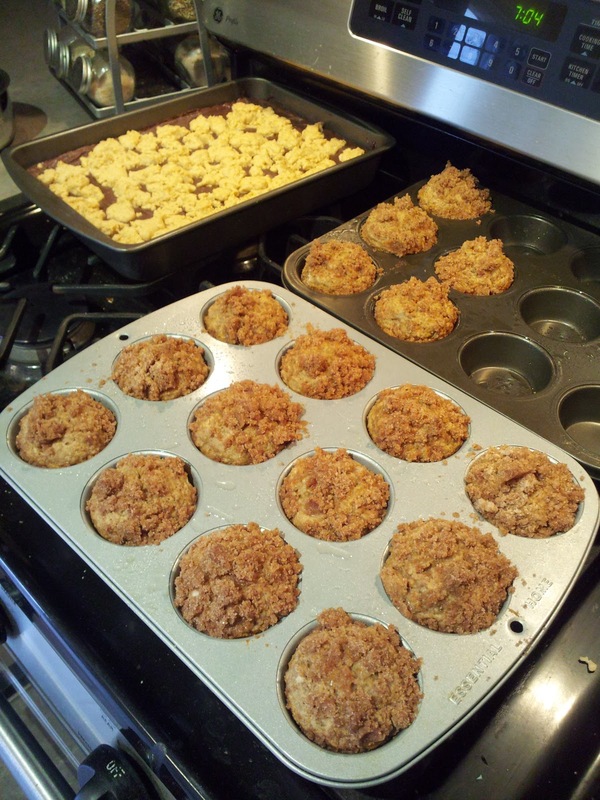 Essentially, I started with my favorite vegan banana muffin recipe, then decided to jazz them up with a streusel topping, which I stole from my pumpkin apple streusel muffin recipe (which I could eat 12 of right now ... yum!). This whole recipe could easily become vegan by using organic sugar (read why many vegans use organic sugar here) and a butter alternative. What I like about this recipe is that it doesn't require anything exotic - I usually have bananas in the freezer and the rest of the ingredients are basic pantry staples. Now, I have a go-to recipe when I need an impressive treat quickly. The method is so easily: crush up the bananas, then add the rest of the ingredients. Grease two muffin tins, then use a 3-Tablespoon scoop to portion out the muffins. It should make roughly 18 muffins. Mix together the topping ingredients in a small bowl, using your fingers to combine the items until it's the consistency of wet sand. 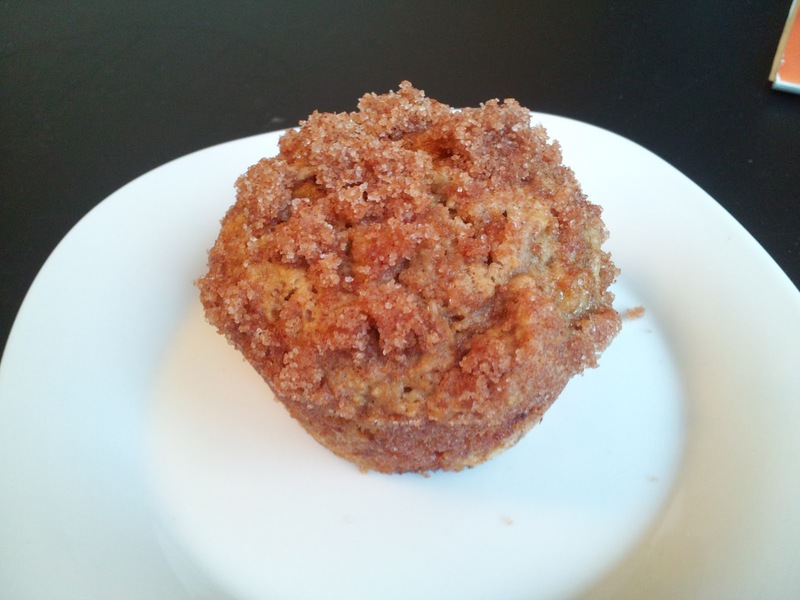 Top the muffins with the mixture, then bake for about 22 minutes in a 350-degree oven. Allow to cool in the tin for 10 minutes, then remove. It shouldn't be a challenge to get rid of these, but consume these within a day or two because the topping starts to get soggy. Hi Kelly! You just won the $25 gift cert giveaway to AquaGear on my blog! Can you shoot me an e-mail so I can put you in contact with the AquaGear people? Thanks! And Congrats!! Did not realize that there were animal products used in processing cane sugar. Anyway, those banana muffins look delicious!